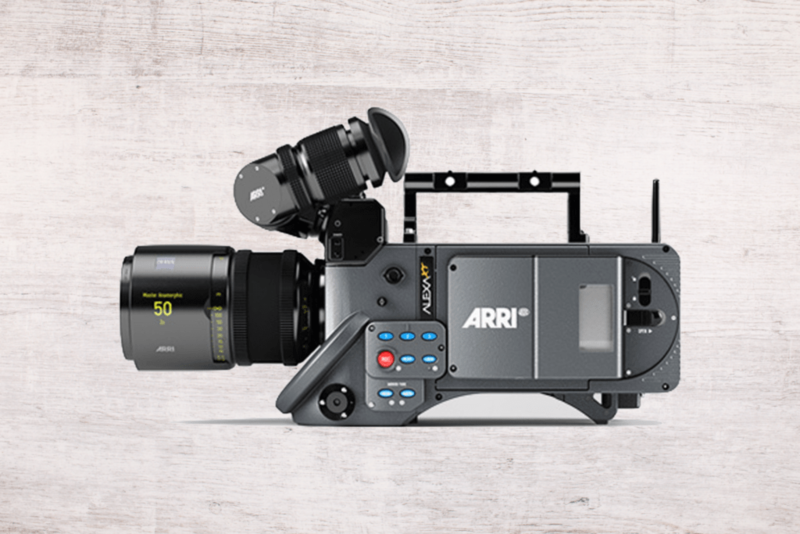 Kamera ARRI Alexa Studio XT. Wyposażona w lupę optyczną i lustro. Operating Modes Mirror shutter on or off. Switching takes approximately 3 seconds. 16:9, 4:3 Full, 4:3 Cropped or Open Gate sensor modes. Switching takes approx. 60 seconds. 16:9 available for ARRIRAW, ProRes and DNxHD recording. 4:3 Full available for ARRIRAW and ProRes 2K recording. 4:3 Cropped and Open Gate available for ARRIRAW recording.